We cannot have democracy without a free press, and the robust debate it fosters. Satirists and cartoonists have always been on the front line of the struggle to establish and defend freedom of expression. And the journalists and media workers of the French magazine Charlie Hebdo maintained that defense across decades of struggle to broaden and deepen the discourse about elite corruption, political extremism and religious intolerance. They were known for their work, respected for their intellect and honored for their courage. They could be bold and blunt. They could cause offense and anger. They could and did spark sincere debates about the lengths to which satire should go. But they could also be sophisticated and nuanced. "They were leftists and never xenophonic or Islamophobic. Both were champions of immigrants in France,” Turkish journalist Ertuğrul Özkök wrote in an essay on cartoonists Georges Wolinski and Jean Cabut. Wolinski and Cabut were among the most prominent of the eight Charlie Hebdo editors and contributors killed (along with a guest, a building staffer and two police officers) in a Wednesday morning attack by masked gunmen who were quickly linked with extremists who have sought to exploit anger at the magazine’s publication of satires and cartoons that challenged Islamic fundamentalism. 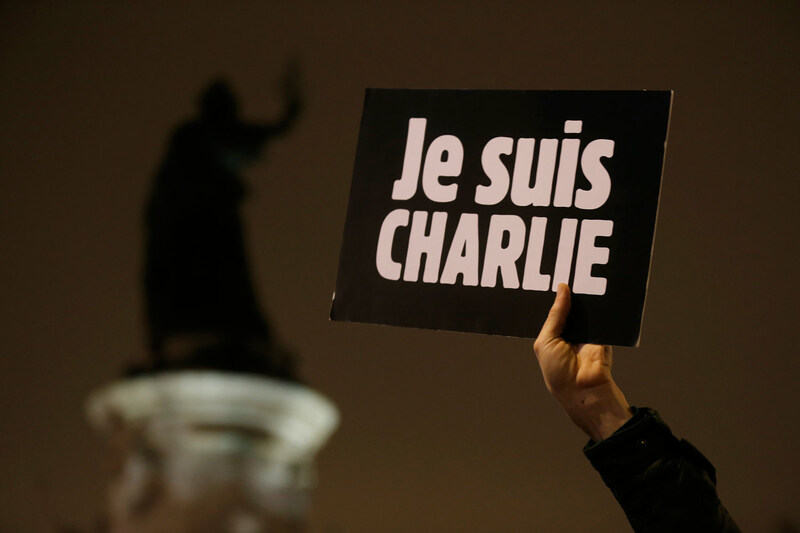 Reasonable people who care deeply about freedom may have differed with the approach taken by Charlie Hebdo. There were and are still thoughtful critics of the magazine's style and strategies.That was understood by Charlie Hebdo editors and contributors, who sometimes differed among themselves. And it will be understood as the magazine carries forward in the face of profound loss and ongoing threats. Members of the Charlie Hebdo staff have for a very long time spoken of the publication’s satire as part of a much broader struggle for freedom of expression. They have understood the vital role of a free press in maintaining the space in which a democratic discourse can thrive. Yet, Charbonnier and his colleagues should be remembered as staunch advocates not just for freedom of the press but for the right to assemble and protest against the press. This understanding is at the heart of a free society, and it is defended by journalists who are often attacked—sometimes directly, sometimes indirectly; sometimes by terrorists, sometimes by governments—not so much for their recognition of the importance of freedom of expression as for something far more meaningful: their daily practice of that freedom. The Charlie Hebdo journalists were not the first to die in this very young year. The day before the attack on Charlie Hebdo, the International Federation of Journalists (a group with which I have long been associated in support of freedom of expression and media diversity) condemned the first killing of a journalist in 2015: that of Al-Masirah TV channel correspondent Khalid Mohammed al Washali in Yemen. The next day, the IFJ would condemn the murders of the Charlie Hebdo journalists, as an online counter that numbers dead media workers moved rapidly and ominously upward. On the morning after that condemnation came the news that Filipino journalist Nerlita Ledesmaon had been gunned down on her way to work with the Bataan tabloid Abante. The sheer number of the dead in Paris was shocking, and it has inspired an appropriate and necessary response. “Today, we are all Charlie in our thought but, as journalists, we very much share the reason for which they were targeted. Those bullets were also meant for all of us who stand up for press freedom,” declared IFJ General Secretary Beth Costa in a tribute (delivered along with leaders of the European Federation of Journalists) to the murdered Charlie Hebdo journalists and to the dead police officers. The lasting memory of yesterday will no doubt be the shock [and] horror we all felt at the sheer violence. But, I hope we can also look back at the incredible show of solidarity and defiance among journalists not to bow to intimidation. We are NOT AFRAID! We should also take heart from the massive support and outpouring of sympathy and goodwill from ordinary members of the public whom we serve. That is why Charlie Hedbo needs to overcome this devastating blow and get back on its feet. It is why we all need to stand up for journalism in Europe and elsewhere in the world. It is vital for everyone who is now chanting "Je Suis Charlie" to note that reference to “elsewhere in the world." Just as the “sheer violence” of the Paris attack was shocking, so the steadily rising death toll of journalists in countries around the planet is chilling. Barely a week ago, on December 31, 2014, the IFJ published its annual list of journalists and media staff killed on the job. The number of those directly targeted for assassination, killed in crossfire violence and killed in natural disasters and work-related accidents rose to 135, with the highest totals in Pakistan, Syria, Afghanistan and Palestine. The need to stand up for journalism, as a vital underpinning of liberty and democracy, will be much discussed in these days of sorrow, trauma and resolve. That discussion cannot, must not, go quiet as time passes, because, tragically, many more journalists will be attacked, injured and killed—often in circumstances that are less noted than those of the murdered satirists and cartoonists and media workers of Paris. We who practice and appreciate the right to freedom of expression must stand now in solidarity with the journalists of Charlie Hebdo. We who practice and appreciate the right to freedom of expression must stand now and always in solidarity with every journalist in every country who challenges corruption, abuses of power, violence and the intolerance that underpins violence. We must do so in the defense of freedom of expression, in the name of pluralism and in the knowledge that without the liberty of wide-ranging and controversial discourse, there can be no real debate nor anything akin to true democracy.